The battle between Boeing and Airbus to replace United Airlines 767's continues at a rapid pace, as Boeing wants the airline to buy more 787 aircraft, while Airbus is hoping the US giant will take its A330neo offering. Boeing is the favourite, as they have already sold United the Dreamliner 787 aircraft and the airline has options on a number of airframes and thanks to significant discounts on list prices, is unusually cheaper than the A330neo's that Airbus is offering. The Boeing Company are also keen to cut off any possible market in the US for Airbus by offering huge discounts as well as investments and other such financial inducements. 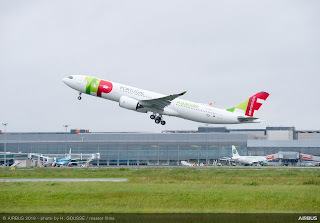 Hawaiian Airlines had been looking at the new Airbus A330neo, indeed negotiations had been at an advanced stage when Boeing swooped in, offered the airline prices that were so far below list prices, it is hard to see how Boeing would break even on the deal. Combined with this, Boeing Capital released Hawaiian Airlines from three long leases for 767-300er aircraft way before the contract was due to terminate. The Hawaiian boss, later told the media that "The A330-800 has not proved to be as popular in the marketplace, - for us, it doesn't make sense to remain committed to an airplane that had the risk of not being sufficiently accepted in the marketplace in the future." Airbus has so far not made any comment on the battle over the United order, but have previously confirmed they are committed to the jet and believe there is a strong long-term market for the type. However, insiders say the European manufacturer is desperate to get a new confirmed order for its A330neo, which currently has at least 15 empty manufacturing slots next year. There could also be more gaps in the production schedule following US President Trump's withdrawal from the Iran nuclear deal and proposed sanctions, as Iran Air has orders for 28 A330-900's.